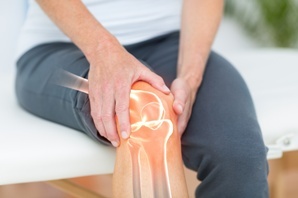 What kind of knee injuries can result from a car crash? A knee injury can significantly impact your life. You may be in pain when you walk and when you are at rest. You may be unable to work and you may be unable to take part in the activities you enjoy. Your injury may have occurred when your knee hit the dashboard, steering wheel, or another part of your car during the crash or it may have occurred because your knee was twisted or hyper-extended during the collision. An ACL tear. Your anterior cruciate ligament, or ACL, holds your knee joint in place. An ACL tear can be very painful and can impact your ability to walk. Treatment may include physical therapy and surgery. A PCL tear. Your posterior cruciate ligament, or PCL, helps maintain your knee’s stability. When the PCL is torn you may be in pain and unable to work. Your doctor may recommend one or more of the following treatments: rest, anti-inflammatory medications, physical therapy, or surgery. A torn meniscus. The meniscus is cartilage between the shinbone and the thighbone. When it is torn you may experience pain, stiffness, and have difficulty extending your knee. Your stability may be impacted. Typically, rest, pain relievers, and physical therapy are prescribed but in some cases surgery may be suggested. An MCL injury. The medial collateral ligament is tissue along the inner part of your knee. When it is torn, your stability may be impacted and it may be hard to walk. Physical therapy and surgery may be helpful to your recovery. Your doctor may diagnose your specific knee injury after a physical examination and medical imaging tests such as MRIs. As you recover from your knee injury, your medical bills may be significant and you may be out of work. However, you may be able to recover for your healthcare costs, lost income, out-of-pocket expenses, physical pain, and emotional suffering. Our experienced car accident injury lawyers can help you protect your fair and just recovery. However, your time to file a car accident lawsuit is limited by law. Please contact us today via this website or by phone to schedule a free, no-obligation consultation about your rights and potential recovery. ?Is it a waste of time to negotiate with the insurance company after a car crash? ?Can a car crash cause an aortic dissection?